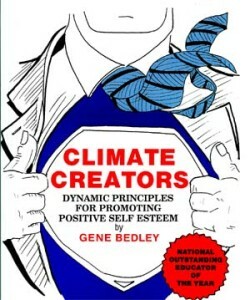 From his book CLIMATE CREATORS, Gene presents 10 dynamic principles that create a positive ethos in workplaces, homes and schools. You’ll witness Gene smashing cups to illustrate the myths of change, or see him wear a monkey on his back to illustrate the need to work through problems. Gene draws his audience into discovery after discovery with practical ideas which are portable to real life situations. Included in this keynote : Bold Visions,Energizers, Willed Futures, and Invitations. There are Climate Creators and Destroyers in every organization! You will be challenged to become a Climate Creator. Value Driven on Line Course The Core Ethical Values that Define and Ignite You!